Our Salt Lake City branch office was founded in May of 2012 and is owned by Leslie Hackett , who is also the owner of our sister office in Taylorsville, UT. Under her leadership, our team is able to provide top-tier staffing services to the Salt Lake City metropolitan area by working with business's in the Professional, Light Industrial, and Office Services fields and recruiting for an array of evaluation, direct, short-term, long-term, flexible, and contract work assignments. Founded in 1983, Express today employs 500,000 people across almost 800 franchise locations worldwide. Our long-term goal is at the heart of our company's vision, to help as many people as possible find good jobs by helping as many clients as possible find good people. Express is Getting Salt Lake City Back to Work! At Salt Lake City Express, our work starts right here in the Salt Lake City metropolitan area! Our SLC office is locally owned and operated by a staff that cares about helping our community to rise and find prosperity for all who seek it. As a staffing office, it is our job to bridge the gap between local business's and prospective hires and assist in making successful matches between the two. For Employers, we utilize our Express candidate recruitment process to gather Job Seekers from all over the area! We can then assess applicants and bring you the candidates that have the most to offer your business. For our Job Seekers, we bring you through our swift and easy, ISO certified hiring process so that our team can get a complete understanding of your unique skills, needs, and availability and use that information to match you up with employment opportunities that you'll thrive in! 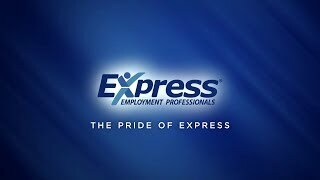 Express Employment Professionals has a unified goal of putting one million Job Seekers back into the workforce, a year. This may seem like a very large goal to have for an employment agency, but through dedication and teamwork we are certain we will continue to reach it, year after year! One of the qualities that our office is proud of is our ability to maintain locality but have access to substantial resources. Our Express office is locally owned by Leslie Hackett, and operated by our team of certified staffing consultants who have experience working in the Salt Lake City job market, but is a part of Express Employment Professionals network, and through this renowned employment organization that spans from the United States, Canada, and South Africa, we receive access to 30 years worth of accrued resources and staffing insight! Some of our phenomenal services you are able to take advantage of are our career development services, our Job Genius newsletter for Job Seekers, our workforce management tools and our Employer resources for Employers! All services are meant for our clients and Associates to use as a way to improve their chances at achieving success in Salt Lake City, UT! At Salt Lake City Express, we supply our clients and our Associates with an array of free webinars, simulcasts and other resources to help promote personal and workforce growth. You should always keep learning, and with these employment related educational programs, you can find ways to better yourself as an Employer or as an employee! Some topics covered are “Employee Morale and Engagement”, Communicating With and Getting the Most From Your Employees”, and “Conflict Management”. There is also a Lunch N' Learn program that can take place right in your office, that introduces topics, like “Generations in the Workforce”, “How to Be the Employee Your Employer Can’t Live Without”, and “Learn to Lead’. Contact us today to get started on finding the right fit for you.